Add rigor, fun, and variety to your exercise routine. 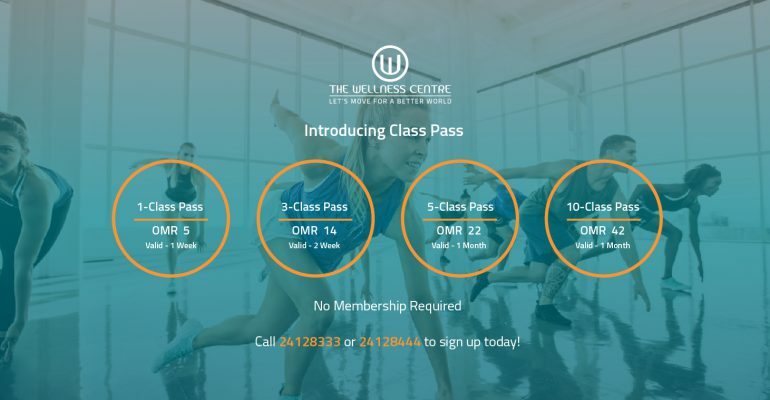 Class Pass is a new monthly service offered by The Wellness Centre that lets you join the fitness studio trend for OMR 5 or less per class, which is half the traditional cost. #ClassPass lets you discover a new favorite way to sweat. Available for purchase to Non-Members. March is a month of savings and #beachbodies. 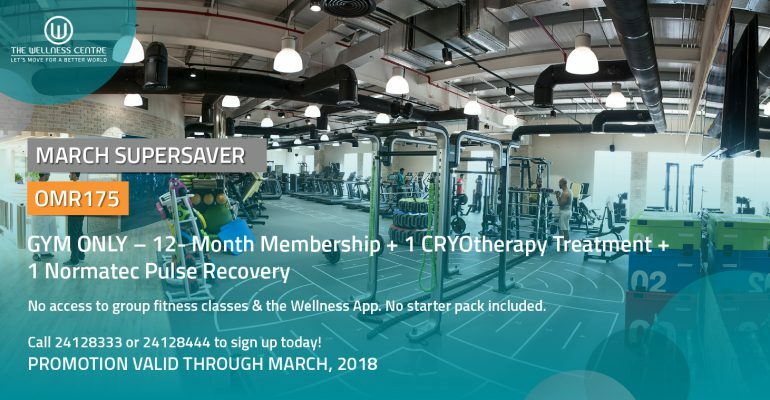 Get a months’ extension and experience #ChilledRejuvenation and #IntelligentRecovery at @thecryolounge with #NormatecPulseRecovery and #cryotherapy, free! This offer is valid through March 2018. *Starter Packs are not included in conjunction with #TWComan offers. On a countdown to your best summer body? Looking for a gym that will keep you at your peak? This 12-month GYM ONLY membership includes full access to our state-of-the-art and versatile equipment and gym floor. 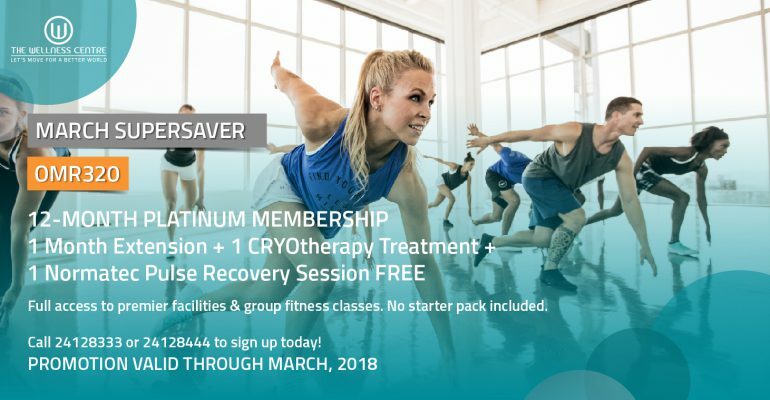 Experience #ChilledRejuvenation and #IntelligentRecovery at @thecryolounge with #NormatecPulseRecovery and #cryotherapy, free! 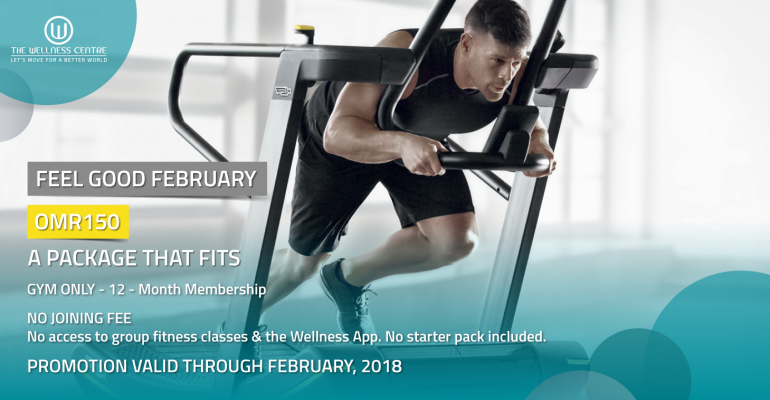 No access to group fitness classes and the Wellness App. No starter pack included. Call us to sign up right away! Offer through March, 2018. Share your love for fitness with your #Valentine. 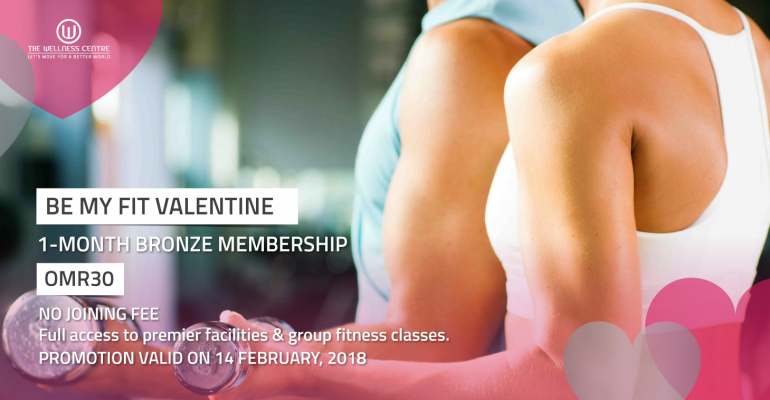 2018 is the year of #wellness and there’s no better way to spend St Valentine’s Day than with your swolemate at the #gym. As they say, a healthy couple is a happy couple. Back to basics! Here’s a simple yet effective workout from our trainers at #TWComan. You may repeat these exercises three times as a circuit and cool down with five minutes of stretching. Try it today and let us know how you feel. Don’t forget to tag us in your sweaty selfies! Meet Anna, The Wellness Centre’s visiting Nutrition Coach. 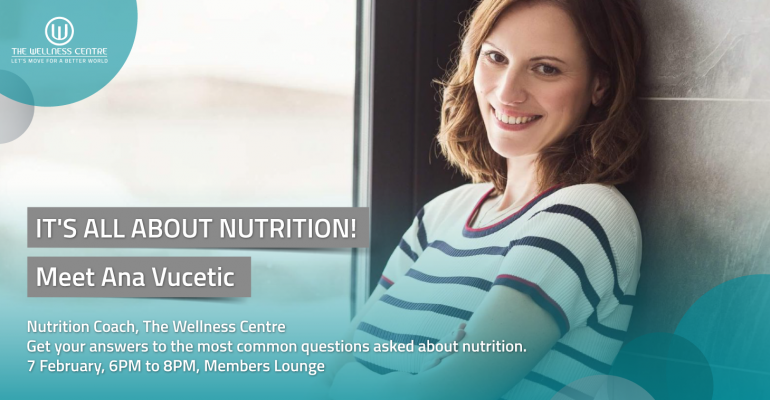 This Q&A focuses on the essentials of eating well; Learning how to calculate your own unique energy needs, and customising meals and snacks that maximise your nutrition and satisfaction. Save the date! We look forward to seeing you at the Members’ Lounge, The Wellness Centre. This 12-month GYM ONLY membership includes full access to our state-of-the-art and versatile equipment and gym floor. Call us to sign up right away! 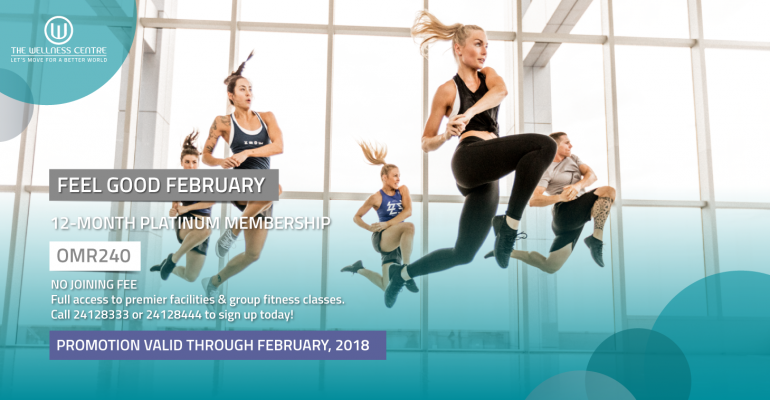 Offer through February, 2018. It’s feel good February and here’s your chance to make it a lot better! 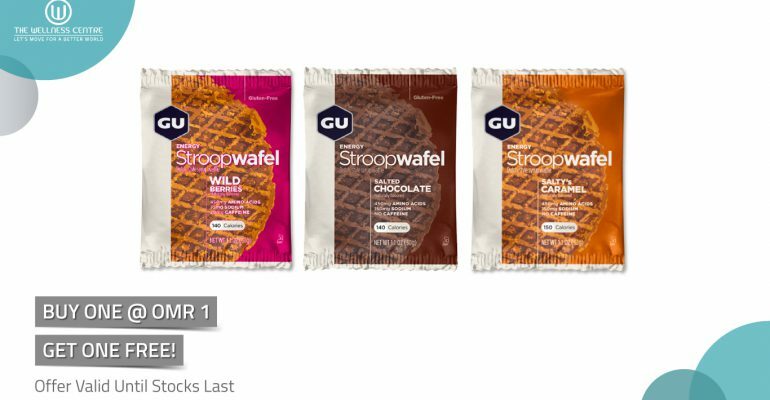 This offer is valid through February 2018. *Starter Packs are not included. #TWComan’s Members’ Challenge is back! And everybody wins! 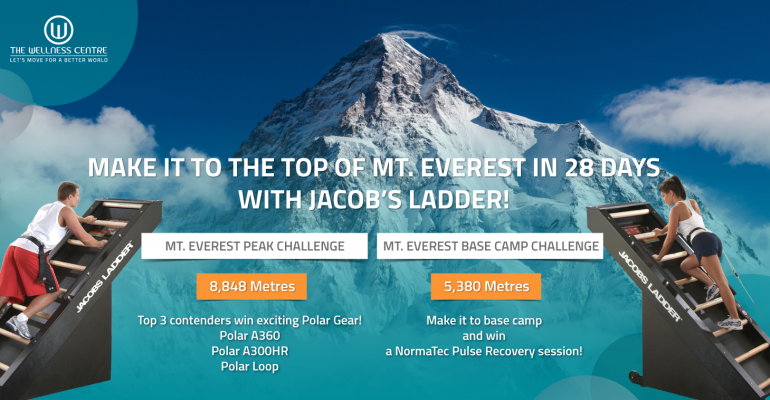 Get on #jacobsladder and climb Mt. Everest! The Wellness Centre’s Personal Trainers can show you how it’s done. What’s the wait; get climbing! Winners will be announced on 28 February.